Chrissie Hynde and the Pretenders singing it must be Christmas time. Thanks to David Kanigan for the idea. The Pretenders were (are?) my daughter Aida’s favorite band. She introduced me to them a long time ago and I still love them. Merry Christmas. 2005 …………………….. 2006 …….. (click on the thumbnails for a larger photo). 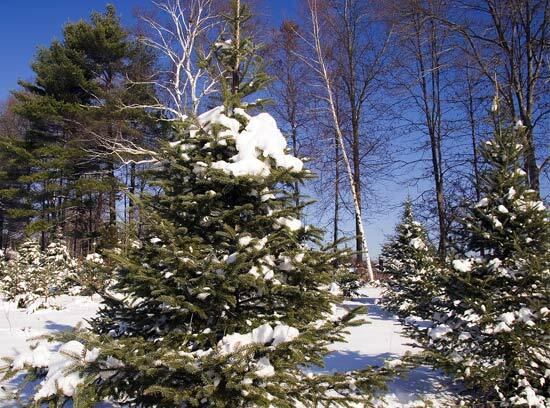 Last weekend we cut down a little tree at a Christmas tree farm in Tyngsborough right off route 113. Same place we got our tree last year. We did explore getting a live tree and keeping it until we could plant it in spring but the cost is much greater and we were afraid it wouldn’t make it through the transplanting. So we cut one down. A tree that was always going to be cut down — that’s why it was grown in the first place (makes me feel less guilty about it to think that). We’ve done this for the last several years. Usually there is snow on the ground and its very cold but this year it was like a day in March. We always bring Lad and have a good time picking out the tree. Last year Maria’s boyfriend came along and two years ago three friends joined us. But this year Maria’s new boy friend wasn’t visiting and anyway, he doesn’t approve of cutting down trees for Christmas. The photos show how different the weather is this year from last. I don’t know if this is a result of global warming — I suspect its one of the possible weather patterns we can get in New England — but it is going to make it tough sledding this year if it keeps up. After fall foliage, winter snow is a hallmark of New England. Winters when we don’t have any seem empty. Our tree looks great in the family room. Maria decorated it with help from her best friend Rachel. In January we’ll put it outside with birdseed on it and the birds will come and entertain us all winter. I printed some home made Christmas cards today using the image above. But my cards don’t say Merry Christmas, they say “Enjoy the Season” so I guess they are seasons greeting cards, not really Christmas cards. This is our attempt to send a little warmth in a cold time to people we care about. I think it would be a great thing to send cards for each season; Winter, Spring Summer and Fall. And that would give me an excuse to print more cards with my photos! P.S. 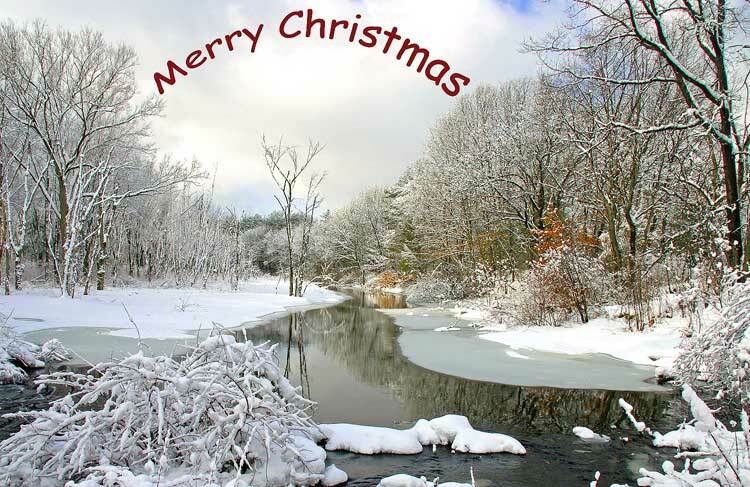 The photo was shot in Acker conservation land in Westford Massachusetts. The water is Stony Brook and this is looking up stream after a late winter storm. Taken on snow shoes after a nice walk up the trail. 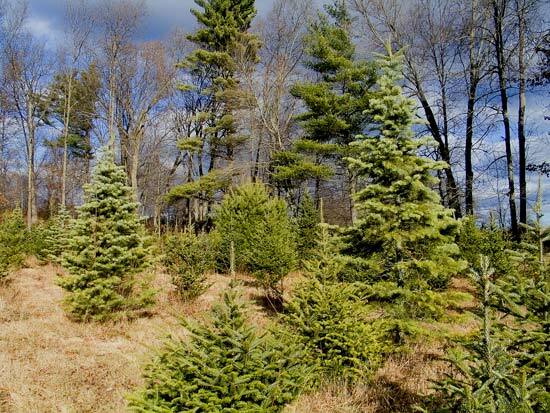 To Cut or Plant a Christmas Tree — That is the Question! 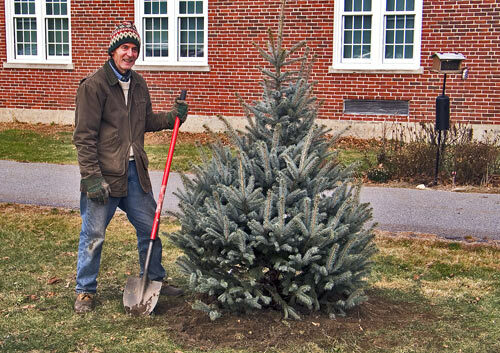 Today I had the pleasure of helping Bill Harman and Lenny Palmer of the Westford Conservation Trust plant a Christmas tree at the Abbot school in Westford. We planted it near the bird feeder that the Trust tends for the school. The idea is that the tree, decorated with suet and birdseed, will help attract birds while adding year-round foliage and beauty. And of course we hope it will grow and be a lovely addition to the school grounds for years to come. This is a change for me. For years now my family has been going to Christmas tree farms to cut down our tree. This gets us out in the fresh air together, saves money and gets us a tree that stays fresh much longer than a precut tree. Precut trees are cut as early as September, I’ve been told, and are usually not very fresh. But I feel somewhat bad about cutting down a lovely tree to be used for 10 days or so as a decoration. We do put it outside in a stand after the season is over and put on suet and seed bells to attract birds. It lasts for about two months and then starts to turn yellow. These trees are raised to be cut for Christmas trees but I still don’t really like the idea of cutting them — I do enjoy the act itself, I freely admit. And once they are in the house they add so much to the holiday feeling that I do it year after year. But this year so far I’ve planted one tree and not cut down any. I feel good about that. We are thinking of buying a live tree in a root ball, using it as a Christmas tree and planting it in the spring. Its much more expensive but I think it might be the best thing for us to do. Whatever we do I’ll write about it here. I’d love to hear about what you about a tree at Christmas time. 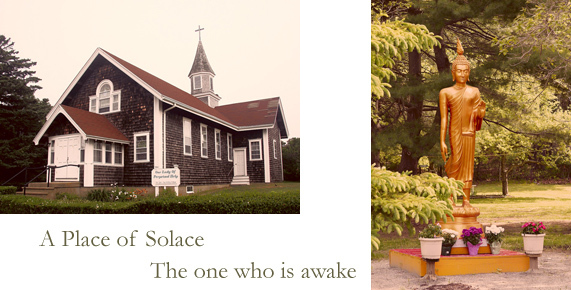 Please leave a comment, if you are so moved, and let me know.